In June 2018, we reviewed Jam v. International Finance Corporation, No. 16-7051, Court of Appeals, Dist. of Columbia Circuit (June 23, 2017), a case that examined what type of immunity the International Organizations Immunities Act (IOIA) bestows upon international organizations (IOs). The central question in Jam was whether the IOIA grants IOs sovereign immunity as it existed before the enactment of the Foreign Sovereign Immunities Act (FSIA) of 1976 or whether the IOIA’s 1945 immunity somehow evolved to become co-terminus with FSIA immunity after 1976. 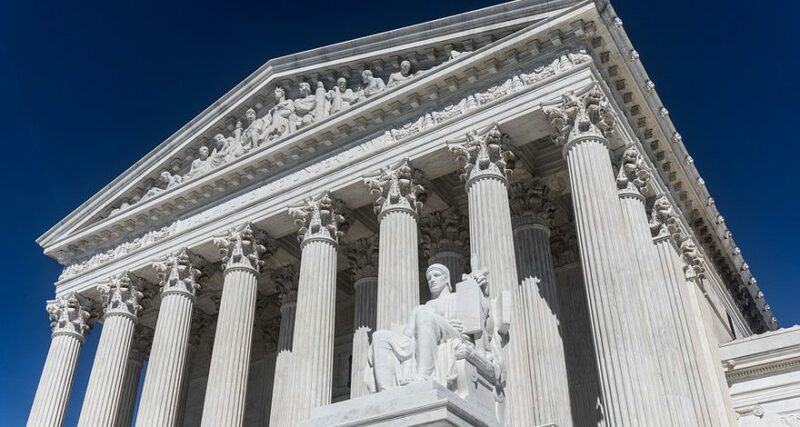 On February 27, 2019, SCOTUS handed down its review of the International Finance Corporation’s appellate court’s opinion. Herein, we brief that opinion. The litigation was initially brought by a group of fishermen and citizens of India who asserted “that their way of life has been devastated by [a] power plant.” The building of the plant was funded by the International Finance Corporation (IFC), which is “an international organization founded in 1956 with over 180 member countries.” The IFC is headquartered in Washington. Both the trial court and the court of appeals dismissed all of the fishermen’s claims on the grounds that the IFC had immunity under the IOIA. The language of the IOIA more naturally lends itself to a petitioner’s reading. In granting international organiza­tions the “same immunity” from suit “as is enjoyed by foreign governments,” the Act seems to continuously link the immunity of international organizations to that of foreign governments, so as to ensure ongoing parity be­tween the two. The statute could otherwise have simply stated that international organizations “shall enjoy abso­lute immunity from suit,” or specified some other fixed level of immunity. Other provisions of the IOIA, such as the one making the property and assets of international organizations “immune from search,” use such noncomparative language to define immunities in a static way. Or the statute could have specified that it was incorporating the law of foreign sovereign immunity as it existed on a particular date. Because the IOIA does neither of those things, we think the “same as” formulation is best understood to make international organization immunity and foreign sover­eign immunity continuously equivalent. Foreign sovereign immunity, the IFC argues, is grounded in the mutual respect of sovereigns and serves the ends of international comity and reciprocity. The purpose of international organization immunity, on the other hand, is to allow such organizations to freely pursue the collective goals of member countries without undue interference from the courts of any one member country. The IOIA’s reference to the immunity enjoyed by foreign governments is a general rather than specific reference. The reference is to an external body of potentially evolving law—the law of foreign sovereign immunity—not to a specific provision of another statute. The IOIA should therefore be understood to link the law of international organization immunity to the law of foreign sovereign immunity, so that the one develops in tandem with the other. In 1945, the “immunity enjoyed by foreign governments” did not mean “virtually absolute immunity.” Accordingly, the IFC was not entitled to blanket immunity. When issuing its opinion, SCOTUS brought up several issues with the calculus applied by the appellate court. First, the appellate court’s reliance on Atkinson was misplaced. Second, the appellate court’s take on Atkinson gave “no consideration to the opinion of the State Department (DOS), whose views in this area ordinarily receive special attention. Shortly after the FSIA was enacted, the State Department took the position that the immunity rules of the IOIA and the FSIA were now “link[ed].” The DOS has repeatedly reaffirmed this view over the years. Because of the appellate court’s misplaced logic with respect to Atkinson and the appellate court’s failure to analyze IOIA through the modern FSIA prism, SCOTUS remanded the case for further development based on this opinion. This paragraph is copied from FN 1. Justice Kavanaugh did not participate. American Tobacco Co. v. Patterson, 456 U. S. 63, 68 (1982). Neder v. United States, 527 U. S. 1, 23 (1999). Later in the opinion SCOTUS dismissed IFC’s assertion that failure to interpret IOIA immunity grant broadly would lead to devastating consequences. In essence, SCOTUS view such assertions as unfounded fear mongering.